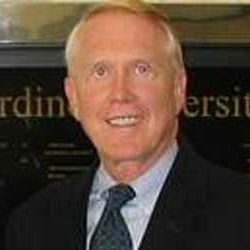 Robert M. Fulmer is currently academic director for Duke Corporate Education and Professor Emeritus at the College of William & Mary. A specialist in strategic leadership development, he is author or co-author of over 150 articles (in such periodicals as Harvard Business Review, MIT Sloan Management Review, Wall Street Journal and Business Week) and almost 40 business books, monographs and editions (including Growing Your Company’s Leaders, The Leadership Investment and The Leadership Advantage). As an academic, he has held endowed chairs at Trinity, William & Mary, and Pepperdine, taught management and leadership at Columbia and Emory Universities and was a Visiting Scholar at MIT. He was responsible for worldwide management development at Allied-Signal, served as president of two consulting firms, and has conducted seminars in 26 countries on five continents. He is a Fellow of the Academy of Management, the Southern Management Association, and the World Business Academy. His most recent book is Newcomers in Paradise.